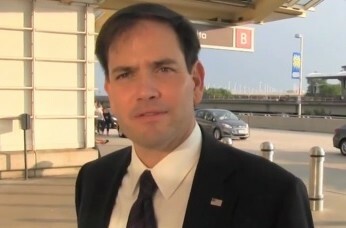 TMZ caught up with Republican presidential candidate Marco Rubio outside of Ronald Reagan National Airport, and asked him a question about the single most important issue of our time: Cecil the lion. “I know the country’s been in an uproar about Cecil the tiger [sic],” said TMZ’s crack reporter. “A lot of people have a different takes on it. How do you feel about that?